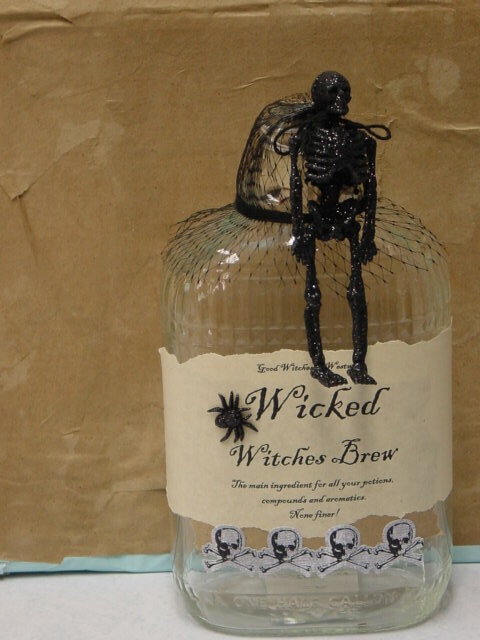 Big bottle of witches brew! Vintage half gallon glass bottle found at a rummage sale. 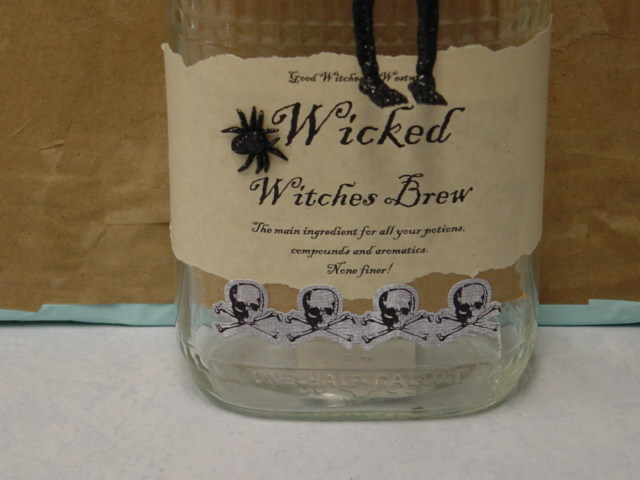 Label printed on stained paper (My recipe for ‘tea stain’; not actual TEA) and glued on. Glitter spider and skull border purchased in scrapbook supply section at craft store. Mini glitter skeleton was part of a garland that I cut apart. 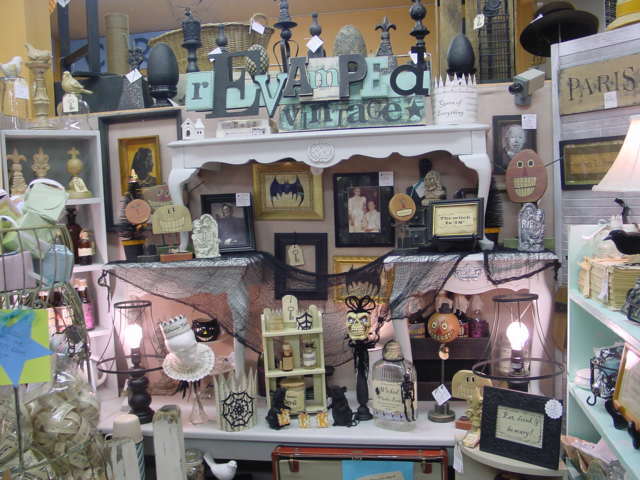 LOTS of little Halloween framed things. 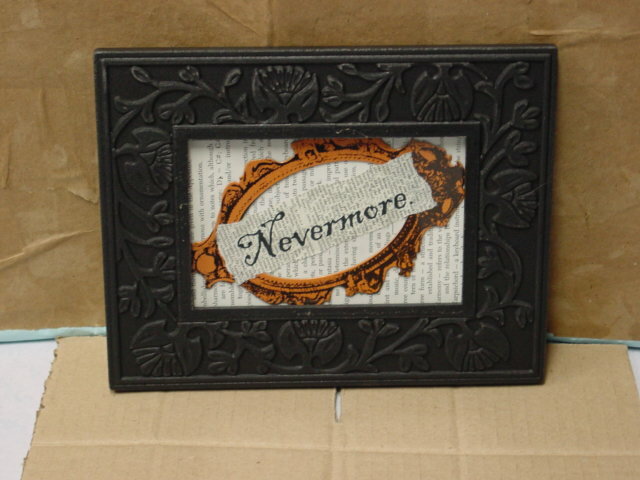 This one I used old book pages for the background and to print my word on. Orange tagboard frame from a set of assorted frames found in the scrapbook section. 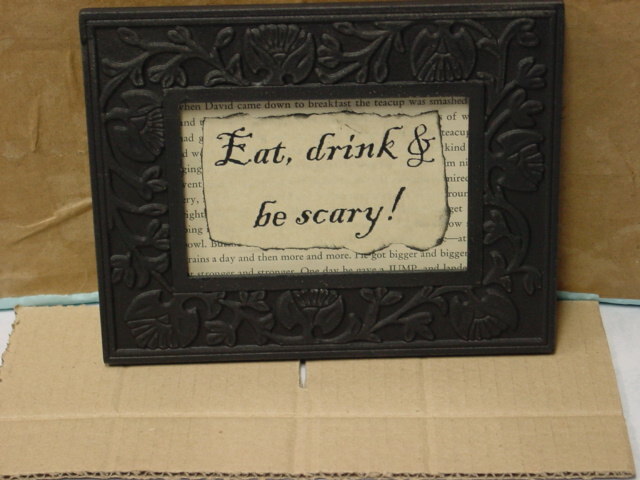 Gothic style black frame. 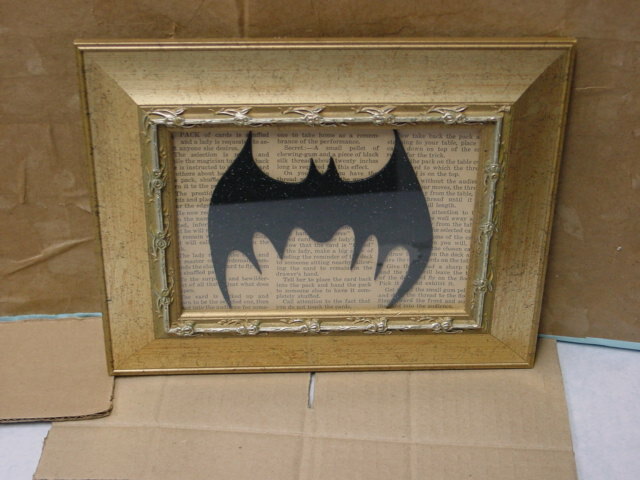 Vintage gold frame; old dictionary page backing; raven silhouette (bought pre-cut); another tagboard frame, this time a black one and quotation printed on old book page. 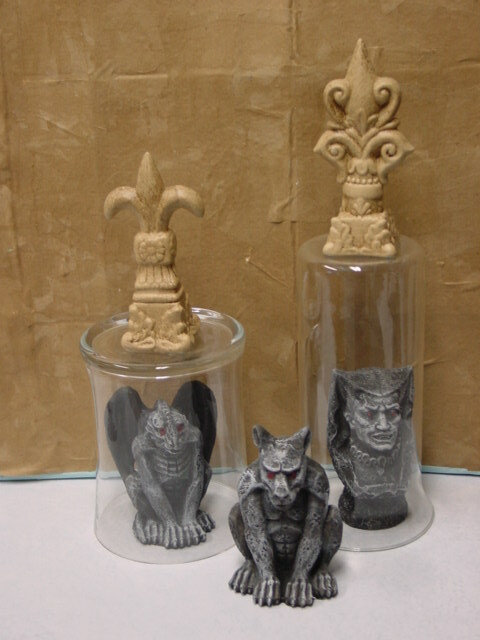 When creating these things I ‘play around’ with the various components; trying different arrangements to find which I like best before I glue anything in place. Glitter foam bats (leftover from last year!) 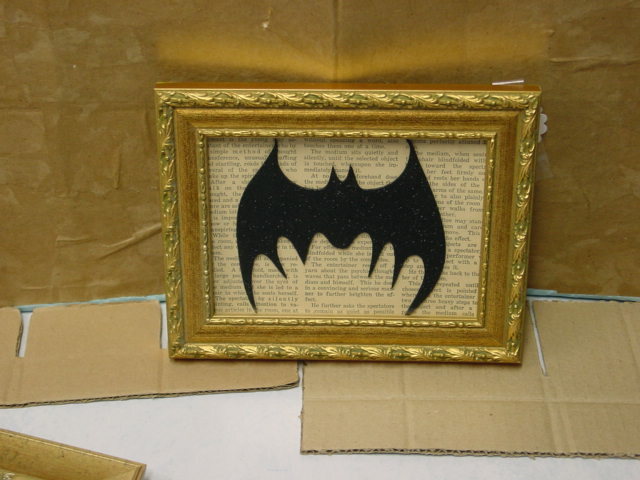 mounted on old book pages and in vintage gold frames. More of the black silhouettes. 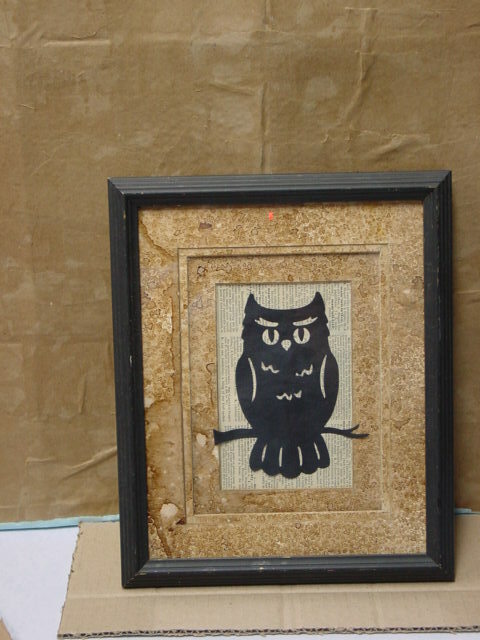 This owl on al old book page with a heavily stained mat border and frame without glass. 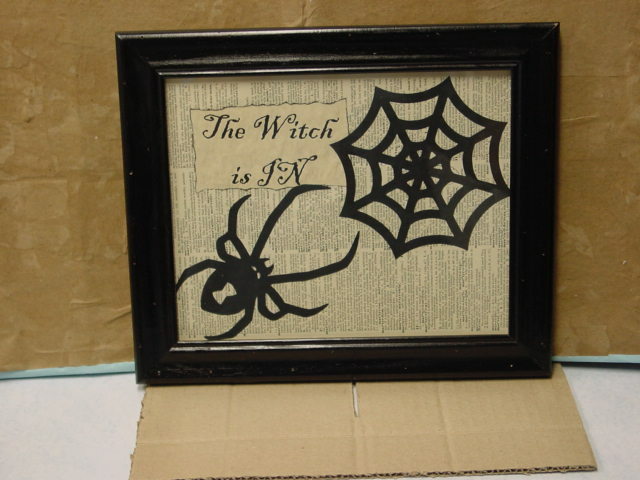 Spider and web silhouettes bought already cut out. ALL of these items have gone to my space at Stars for sale. These are too cute! 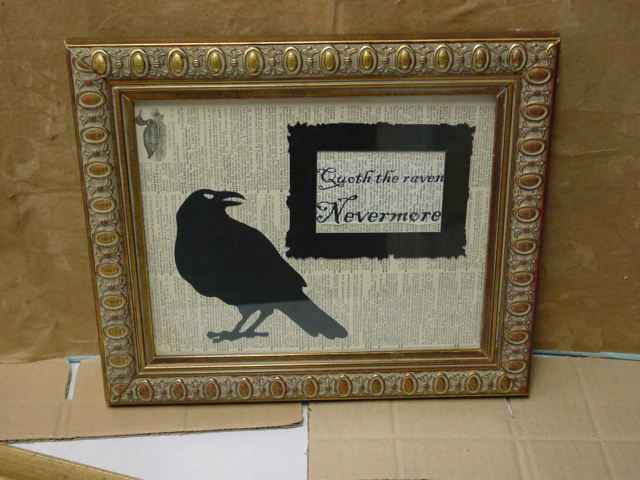 I really love the raven.